I’ve just come across a restaurant at the very, very edge of Sheffield (closer to Barnsley and Huddersfield, if I’m honest) with a virtually 100% gluten free menu! Bistro in the Barn at Millhouse Green is a good half hour outside of Sheffield centre, north of Penistone and Langsett, but judging by the 5 star rating on TripAdvisor, it should be well worth the drive. It’s also on the edge of the Peak District and close to the Transpennine Way. According to their website, their ethos is about good quality food, locally sourced ingredients and attention to detail. The Bistro’s main courses include slow roast pork belly with melting gorgonzola, seabass fillets with caper butter sauce and wild mushroom risotto. There are a variety of puddings, such as sticky toffee pudding, poached pear, trifle and chocolate souffle. Lots to choose from. They also serve gluten containing bread in case you go with anybody who isn’t gluten free. Tags: eating out gluten free, Gluten free Barnsley, Gluten free in Sheffield, gluten free restaurant. Bookmark the permalink. 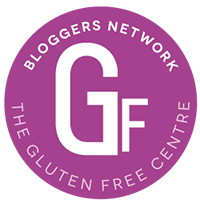 Previous post ← Gluten free profiteroles – blink and they’re gone!